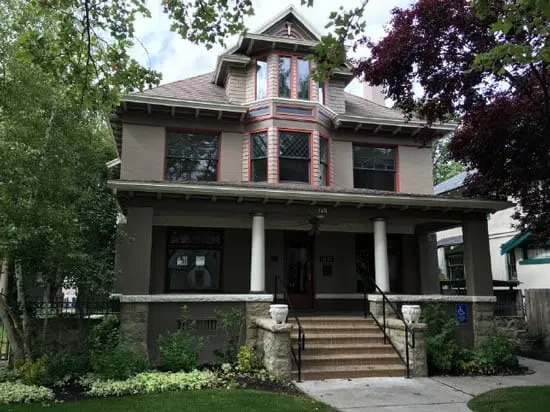 Located in a beautifully restored home in the historic Hyde Park District of Boise’s North End neighborhood, Center for Change offers a daytime Partial Hospitalization Program (PHP) and an evening Intensive Outpatient Program (IOP). Our Boise campus meets the needs of adolescent girls and women dealing with eating disorders, who don’t require an inpatient setting but need more support and structure beyond traditional outpatient care. Offered five days a week, the day program focuses on actively treating the eating disorder illness, preventing relapse, improving body image, setting goals, facing fears and accomplishing specific social, vocational and educational tasks. Here, patients have the opportunity to practice the application of the skills they learn in a safe environment as they participate in individual psychotherapy, family sessions, dietary counseling, experiential groups, psychoeducational groups and therapeutic meals and snacks. The evening program allows our patients to receive accelerated treatment for eating disorders, while still participating in their daily responsibilities such as work or school. Our program is typically held each Monday, Wednesday and Thursday in the early evening, though scheduling is flexible and individual needs can often be accommodated. Program activities include individual therapy, dietary counseling, family involvement, daily group therapy and goal planning. Fully supported by our team of licensed therapists, registered dietitians and registered nurses, we help our patients build confidence in themselves so they can heal. Through our programs, patients will have the opportunity to practice the skills they’re learning through grocery outings, challenge meals, cooking classes and recovery-selfdirected meals. Center for Change was established in 1994, though most of the founders have been working together and treating eating disorders and concurrent illnesses since 1988. We offer the most comprehensive therapy and treatment programs available, with a full continuum of care – from inpatient and residential treatment at the Orem, Utah location to day and evening programs and outpatient services. Our focus is on healing the whole person – mind, body, spirit and relationships – freeing those struggling with the pain and loneliness of illness to find a peaceful and fulfilling life.